We are located behind the municipal building of the Terrasse Serre, between the big basin and the bicycle path. IMPORTANT: Please do not drive a car on the KSF site even for picking up your equipment. There is a bicycle path and it is forbidden to drive on it. CLOSED ON THE LABOR DAY, SEPTEMBER 2ND. *IMPORTANT: Please do not drive a car on the KSF site even for picking up your equipment. There is a bicycle path and it is forbidden to drive on it. *Open on the Labor day, September 2nd. * CLOSE on October 14th. *In case of rain or strong wind, please call prior to come. *We will extend the opening hours in April and October depending on the weather. We are located behind the Natatorium pool. You therefore have to go around the pool to find us! 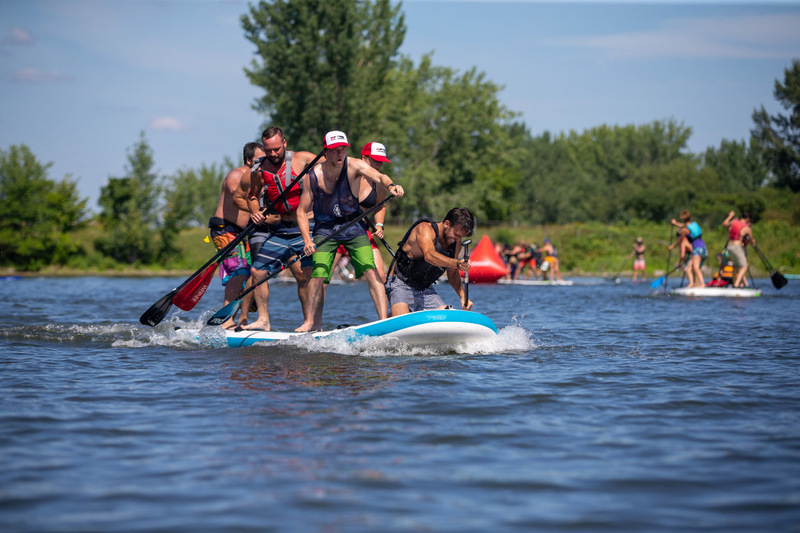 *During some special events organized by parc jean-drapeau the rentals schedule will be from 12pm or the lagoons can be closed. Our Parc Jean-Drapeau branch is located at the Pavillon des Activités Nautiques near Notre Dame Island’s beach near the P5 parking.